Armstrong Siddeley announced the 15 HP model in October 1927. 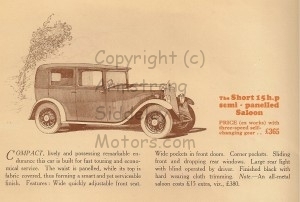 In 1927 and 1928 it was sold with the same range of coachwork available on the 14 HP chassis. The key difference in the new model was that it had a six cylinder side valve engine, in contrast to the overhead valve four cylinder engine in the 14 HP car. The advertisement above shows the new 15 HP model. 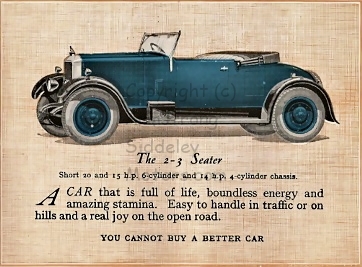 The same fabric saloon body was fitted to both the 14 HP and 15 HP models. Infact the drawing is of the 14 HP car as the battery box is on the offside. It was on the near side of the 15 HP car. 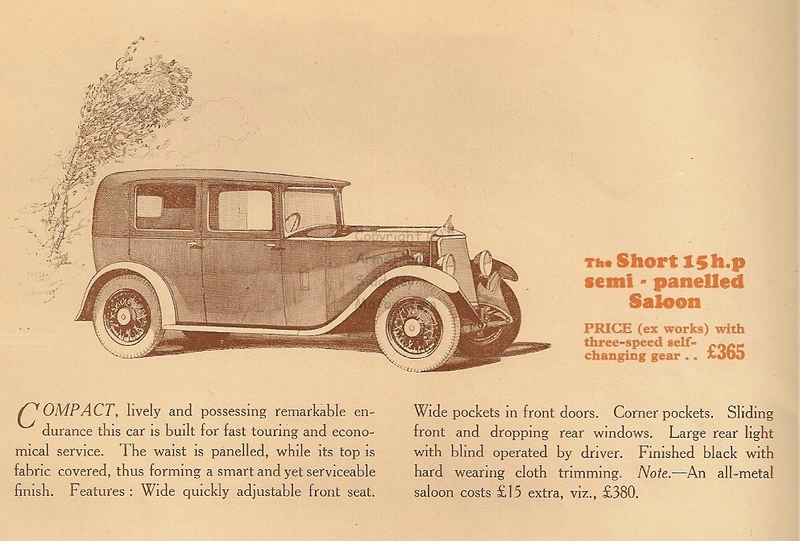 The two images below are from the catalogue issued at the end of 1928 showing the range of cars for sale in 1929. This image is taken from the catalogue issued in 1929 showing the models for 1930. 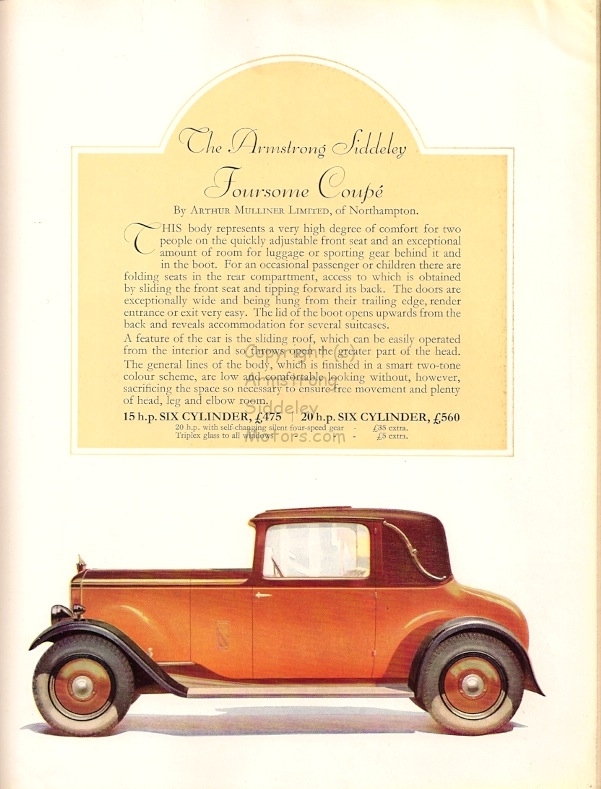 This is a rare example of Armstrong Siddeley offering a model with a body made by an outside company rather than Burlington coach builders which was part of the company. In October 1930 the 15 HP was shown with a V shaped radiator in place of the flat radiator fitted previously. 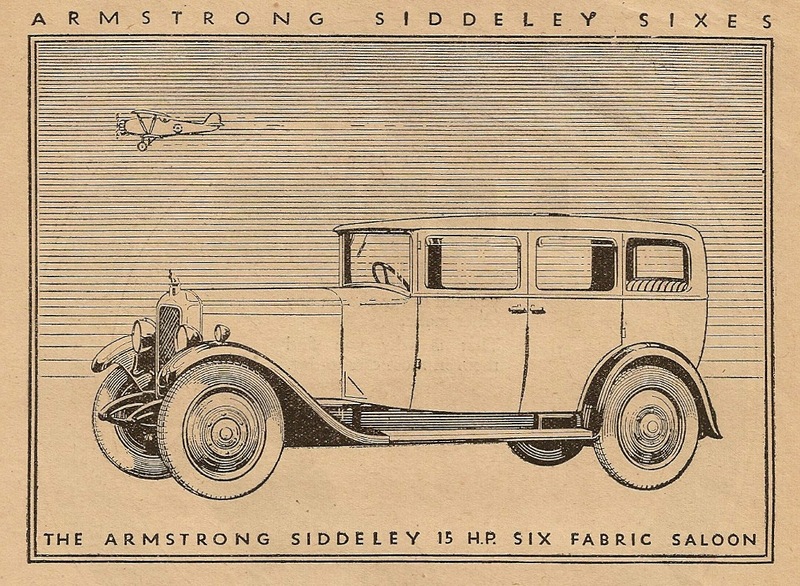 Prior to this change, Armstrong Siddeley had developed the engine and widened and lowered the chassis, modernising the look of the car. 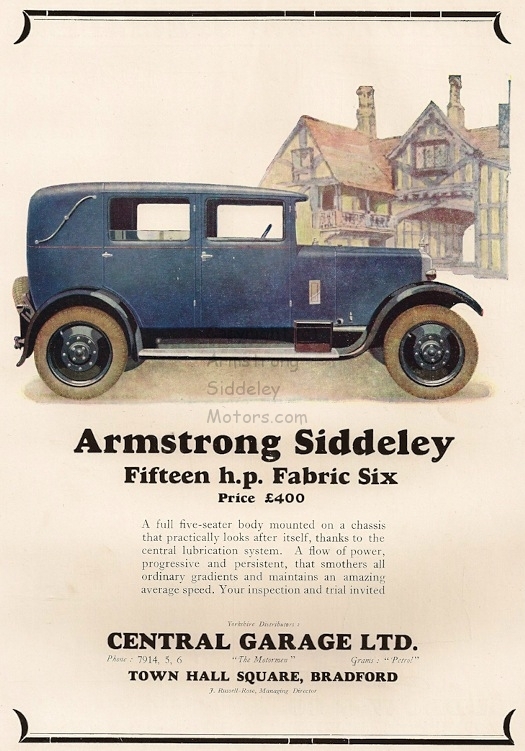 By 1932, most models were sold with the self-change, or pre-selector, gearbox that Armstrong Siddeley first introduced in 1928. By 1934 the 15 HP model had been further modernised. 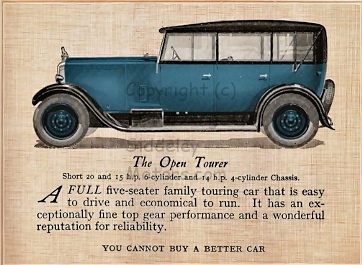 The advertisement below shows the Long 15 Coachbuilt saloon. 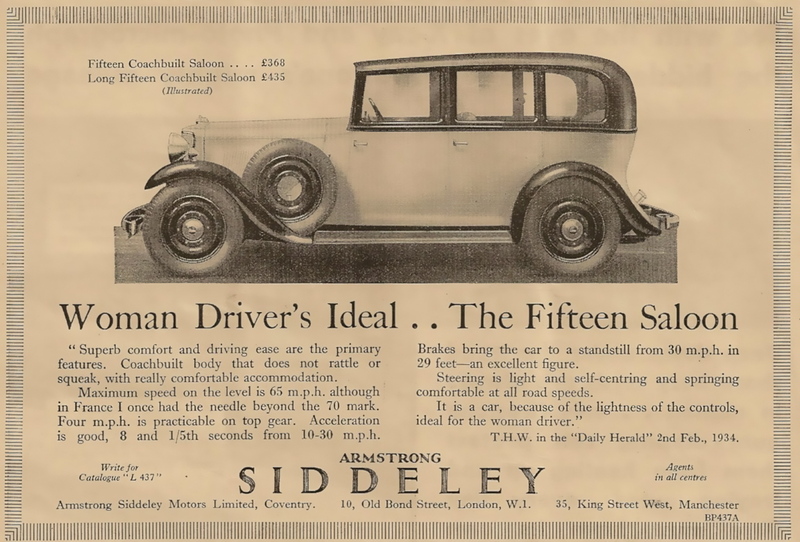 Armstrong Siddeley were keen to emphasise that their smaller cars were easy to drive, hence the reference to “Woman Driver’s Ideal..The Fifteen Saloon”. 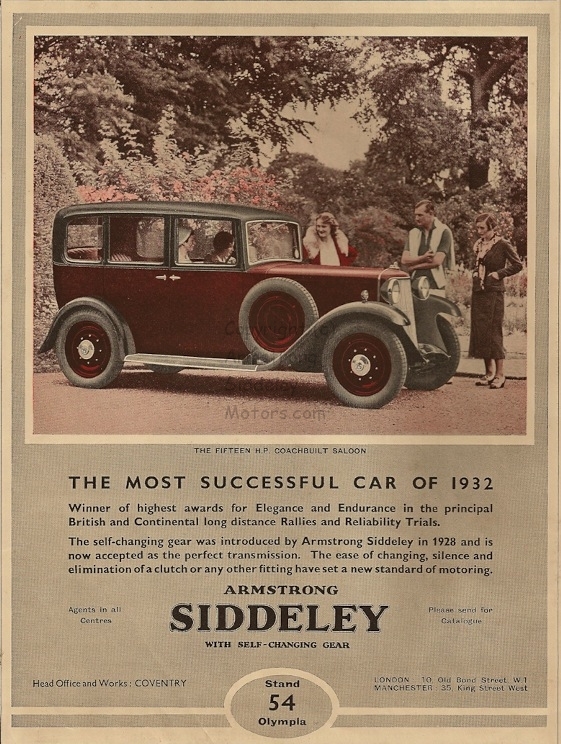 The advertising was effective and, even today, many motoring enthusiasts see the Armstrong Siddeley as a woman’s car!